Your skin is exposed to damaging elements, such as the sun’s rays, dust, and pollution, on a daily basis. Over time, you will develop wrinkles, acne scars, crow’s feet, and uneven pigmentation. Good thing there are facial treatments, such as microdermabrasion in Fayetteville, NC, that can help reduce the appearance of these skin imperfections. What Is Microdermabrasion in Fayetteville, NC? Microdermabrasion in Fayetteville, North Carolina is a noninvasive and nonchemical procedure that utilizes microcrystals to exfoliate the skin. Apart from getting rid of dead skin cells, this procedure helps in the production of new skin cells, which contain more collagen and elastin. 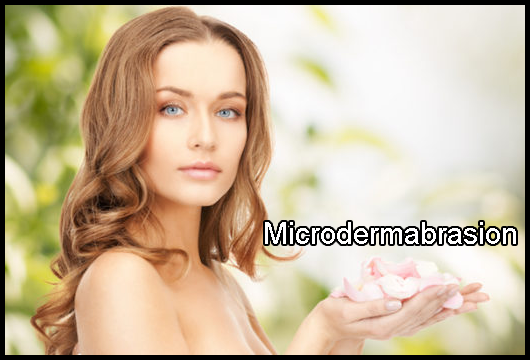 Microdermabrasion in Fayetteville, North Carolina can enhance your skin’s appearance. Compared to another treatment, microdermabrasion in Fayetteville, NC does not require you to go through a recovery period. You can get back to your regular activities after undergoing microdermabrasion in Fayetteville, NC. Microdermabrasion in Fayetteville, North Carolina can help reduce the appearance of light scars, such as those caused by acne. Patients who have active acne may also undergo microdermabrasion in Fayetteville, NC to help remove oil and dirt from the clogged pores of their skin. Microdermabrasion in Fayetteville, NC, a relaxing and pain-free procedure, can help improve skin texture and appearance. Look younger than your actual age through services such as microdermabrasion in Fayetteville, NC. This procedure aids in the production of collagen in the skin to give you a younger-looking complexion. You gain wisdom as you age. However, you will also get those fine lines and wrinkles that can make you look older. Poor habits, such as excessive sugar intake, stress, and too much sun exposure, can also speed up the appearance of fine lines and wrinkles. Microdermabrasion in Fayetteville, North Carolina can help revitalize your skin care and get you that vibrant and youthful glow. Pollution, sun exposure, and hormonal imbalance are just some of the different causes of uneven skin tone. Staying hydrated, maintaining a healthy diet, exercising regularly, and using sunblock lotion may not be enough to even out your skin tone. Microdermabrasion in Fayetteville, North Carolina can help get rid of unwanted skin spots and reinvigorate sun-damaged skin. Use of birth control pills, pregnancy, sun exposure, and chemicals found in soaps, shampoos, and perfumes are some possible causes of skin pigmentation. Microdermabrasion in Fayetteville, North Carolina can speed up skin care renewal to effectively get rid of pigmentation. Over-the-counter products scrape some layers of your skin. Using these products before a procedure may cause some discomfort. Let your doctor know if you are using any skin care products before your appointment for microdermabrasion in Fayetteville, North Carolina. Inform your doctor of any medical condition you may have to know whether you are allowed to undergo microdermabrasion in Fayetteville, NC or other services. We care about our clients, so please don’t forget to indicate whether you are currently taking any medication. You need to keep your skin healthy prior to your treatment. Smoking can affect blood circulation and even lead to different health problems. Get rid of this habit for better overall health. Trust only Dr Celia Mendes if you are looking for a reliable professional who offers microdermabrasion in Fayetteville, North Carolina. We use the latest equipment in order to provide high-quality cosmetic services. Are you thinking of getting a facial treatment? Call or email Dr Celia Mendes to schedule an appointment for microdermabrasion in Fayetteville, NC. You may also visit our website to learn more about microdermabrasion in Fayetteville, N. Carolina and our other services. People of all ages have specific conditions that they need to address. Whether it’s a matter of skin care, beauty enhancement, or gynecological care, you need an expert to give you what you need. At Dr Celia Mendes, we offer a wide range of cosmetic and gynecological services. With our help, you can maintain your youthful appearance and receive the care and medical attention you need. In 2001, Dr. Mendes decided to branch out to gynecology. The following year, she managed to make her dream of starting her own medical practice a reality. By this time, she pursued her longtime interest in cosmetic procedures. After training and receiving certifications for surgical and non-surgical cosmetic procedures, she eventually incorporated other treatment options in her medical practice.